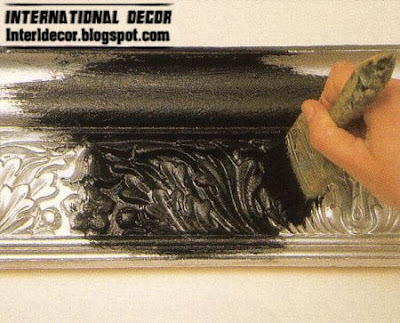 learn how to paint gypsum cornices from international gypsum cornices paint ideas steps with pewter paint, silver paint ideas steps for gypsum cornices, great way and steps to paint gypsum cornice by yourself with international cornices paint ideas. International gypsum cornice paint ideas steps, pewter gypsum cornice - International gypsum cornice paint ideas, pewter gypsum cornice - International gypsum cornice paint ideas, pewter gypsum cornice. 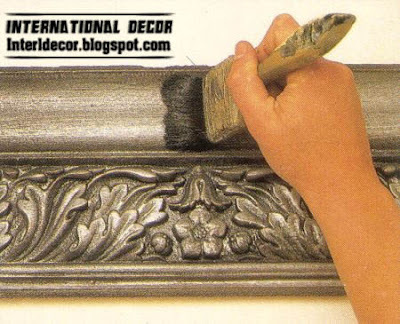 This is my first post about gypsum cornices paint ideas steps, i provide easy steps to gypsum cornices paining by silver and pewter paint, i want you read good to can implementation this paint steps by yourself without pains laborers. 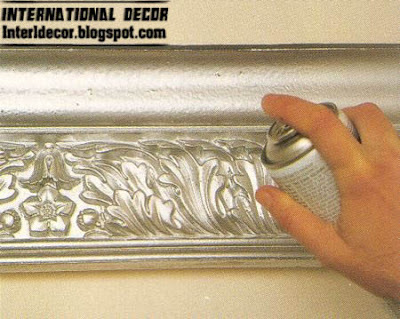 The first step of gypsum cornices is spraying the gypsum cornices by silver spray paint to arrives to this cornice form as these cornice in this picture. After that you must catch by dry cloth and licked the black paint which existing on silver to get this gypsum cornice as this cornice picture. 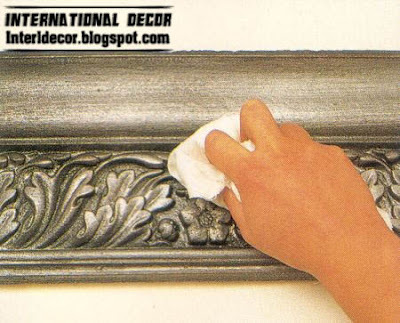 dries your brush and licked by it on cornice to made it bright. 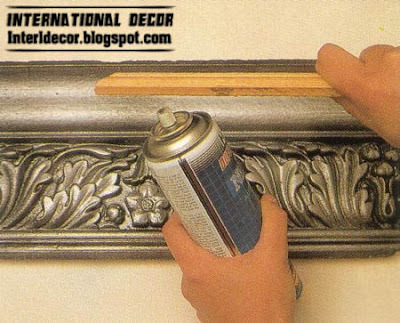 In the end catch wood stick and catch silver spray, sprinkle silver spray on different places at the cornice to get gypsum cornices paints as this picture. I hope you benefiting from this post and be capable of implementation these gypsum cornice paint steps. I think interesting interior painting ideas rely heavily on the color theme. The additional decoration finishes also play an important part.